Handling Tips: Storage 50-60° F. Display room temperature, no mist or ice. General Information: This baby avocado is entirely edible. Allow to ripen at room temperature until soft, and enjoy out of hand. The skin is very thin and there is no seed within. 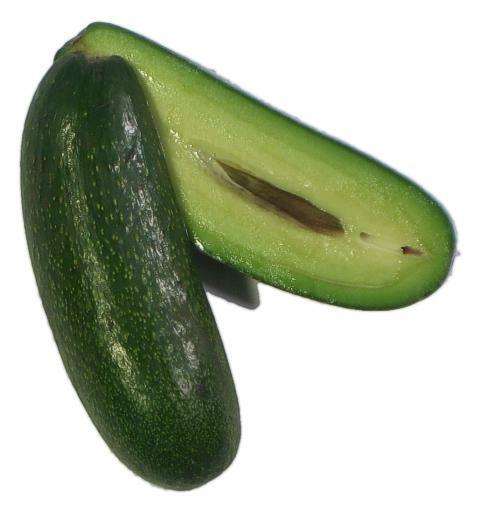 The flavor is like that of the larger, California avocado. Enjoy sliced, or halved cocktail avocados on relish trays or serve with fresh salsa. An excellent garnish.